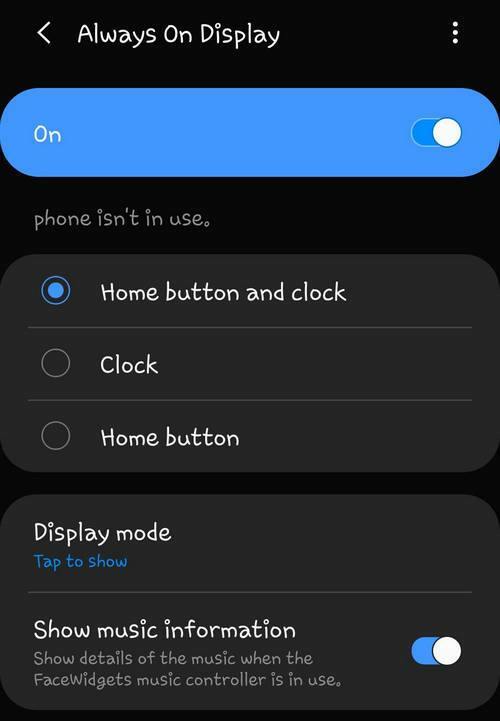 I asked my friends who own Galaxy S10 about the issue and here is what they told me. 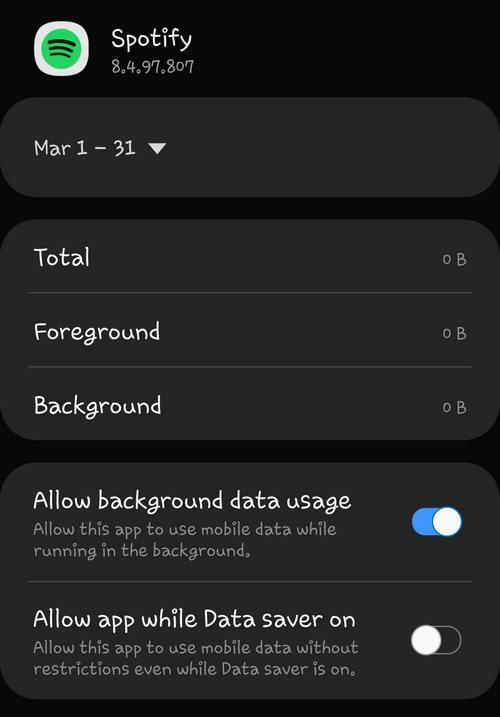 My Galaxy S10 itself offered me to limit the background activity of the application and I agreed. I would never have thought that this could lead to such sad consequences and affect the playing of music in the background. And when I noticed apps went to sleep and stopped playing sound or music, I had to find this setting and return everything as it was. Now there is no problem. From time to time there is a problem with playing music through a bluetooth connection. I usually listen through Google Music and suddenly music can simply stop playing, and as soon as I turn on the screen (without unlocking) the music starts playing again. In the application settings, the background activity is turned on, but this problem sometimes appears anyway. What to do? The answer is obvious – disable app sleep and allow background data. All we know by now is one solution that consists of a few steps and one workaround. The first thing we should do is prevent the app from excessive energy saving. If you can’t find the app in the list, you can do the same in the App Info screen. 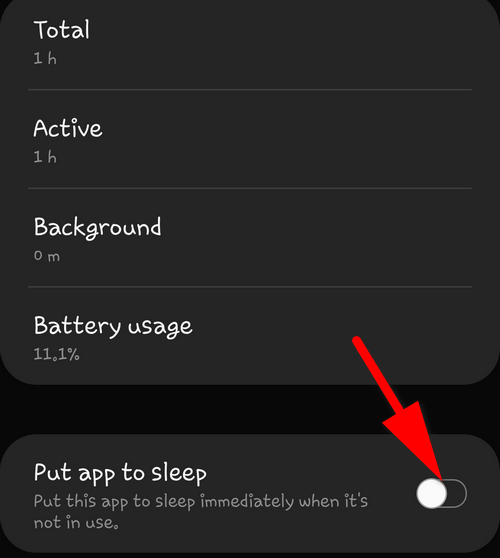 Disabled “Put app to sleep” means absolutely the same as enabled “Allow background activity” on Galaxy devices running Android 9. Here is another setting we need to tweak. Now your music playing app should continue playing back after you’ve clicked the power button to sleep the display. 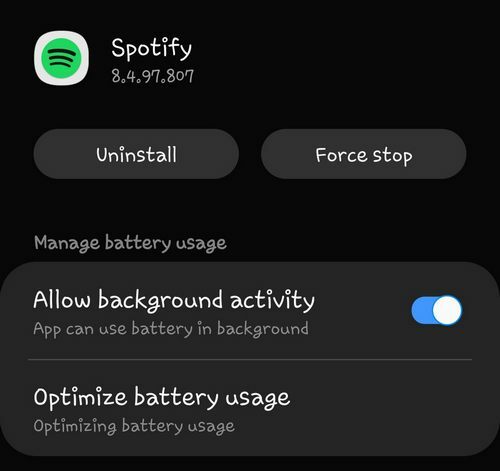 However, some users report that if you allow the display to time out and sleep on its own, Spotify will continue to shut off when the display sleeps on some devices. It would be great if you tell us about your experience on the problem in the comments. And finally let us allow the app to normally use cellular data, especially when it comes to Spotify. 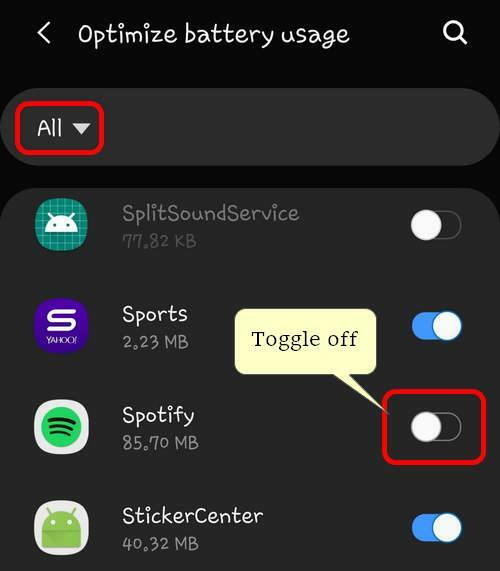 If nothing of the above helps you fix music playback interruptions, you can try the following option that will hopefully help you get around the issue. 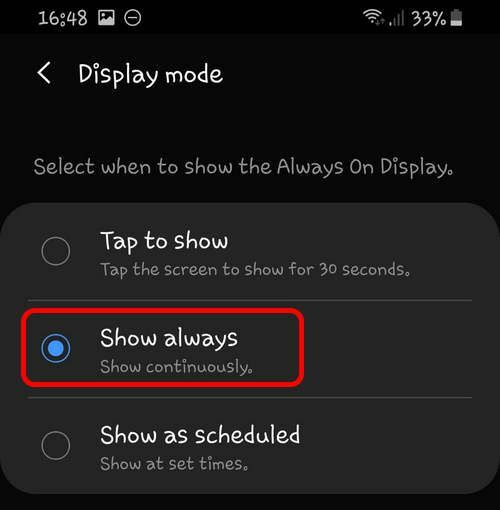 Configuring Always On Display to show continuously should prevent apps from being put asleep by Android 9 on your Galaxy and they should play music without interruptions. 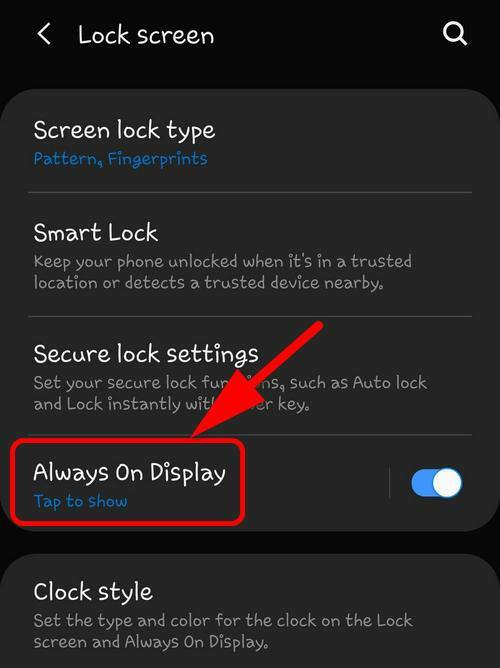 This problem is extremely important and interesting for all Galaxy S10 owners. So, we’d like to ask you to tell us in the comments, what option worked in your case and what app did you face the issue with. If you know another solution, please, tell us and we will add it to the article. Thanks a lot in advance!